This charming log cabin was built in the beginning of the last century and has stood the test of time. It is isolated, in its own extensive grounds, an ideal retreat for someone wanting to get away from the crowds, but is just a few minutes from the Flathead River and Glacier National Park. 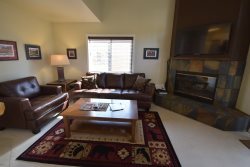 Amenities include: washer/dryer, outdoor fire pit, cable & TV streaming and an abundance of solitude. This cabin has 3 bedrooms and one bathroom. There are 2 queens and a twin with a trundle bed for a child. Please note that the main railway line BNSF & Amtrak, between Seattle and New York runs past about 1/4 of a mile from the cabin. *No pets and no smoking.